“The best marketing doesn’t feel like marketing.” — Tom Fishburne. Commander’s Palace. 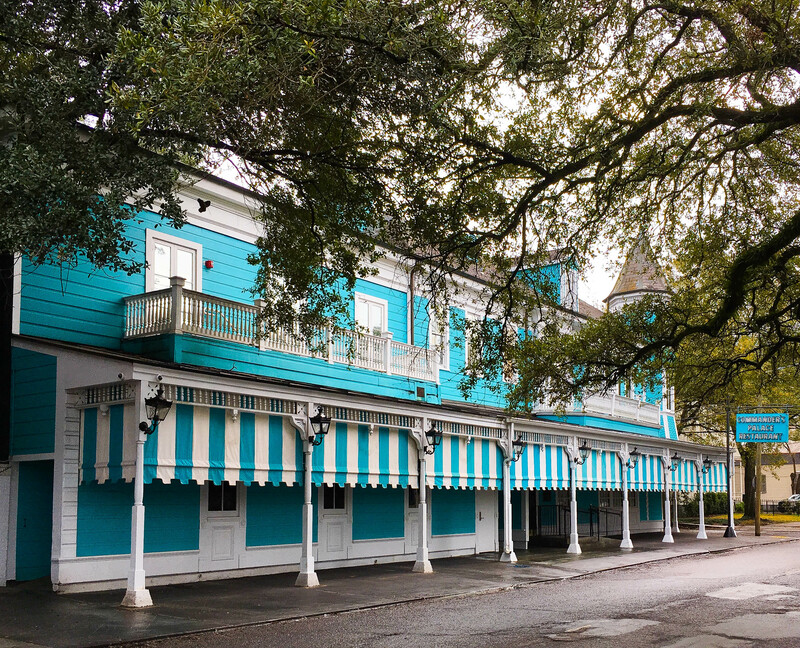 Winner of multiple James Beard awards, Commander’s Palace routinely shows up on lists of the best restaurants in America. My companion and I went there for the lunch special: up to three martinis per person, for 25 cents each. We asked one of our waitresses about it, as she was replacing my place setting’s white napkin with a black one to match my silk skirt. The 25 cents pays for the garnishes–the olives, pearl onions, lemon twists, with which customers can customize the standard offerings. Okay, what about the liquor–the gin, vodka, and vermouth? “It comes out of the marketing budget.” Take-away: If one of the best restaurants in America has to spend on marketing, then so do the rest of us. Brennan’s. Another of New Orleans’ great restaurants, with service so gracious it feels homey. The most popular item is Bananas Foster, which the restaurant invented in 1951 and quickly became known for. Essentially a grown-up banana split, it’s bananas and ice cream with a decadent sauce of butter, brown sugar, cinnamon, rum, and banana liqueur. But the key part of the experience is the show. 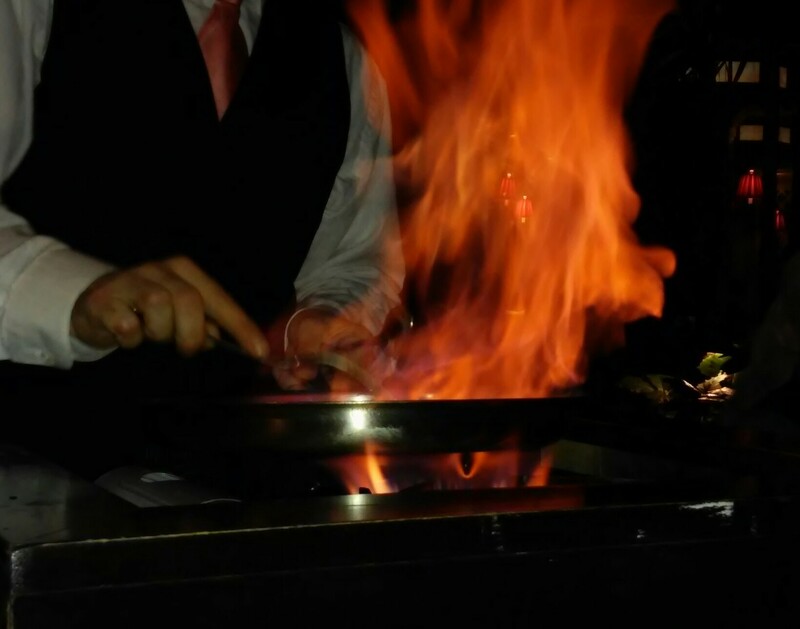 The waiter rolls a cart with a gas burner and all the ingredients to the diners’ table, and describes each step as he melts the ingredients into sauce and then touches off the rum: “Here comes the flambe!” And the flame briefly soars up in the air. Then he dishes out the deliciousness. The banana, vanilla ice cream, and sweet sauce are worth every carb. And if you want to try it at home, the restaurant provides the recipe on its branded to-go cups. Take-away: Elevate something simple, and give it style and show. Windsor Court. An elegant hotel a little off the beaten path, where we usually stop into the upstairs Polo Lounge for drinks and snacks at least once each trip. I always love stepping inside and seeing its signature display of roses. On our visit last month, the bouquet was more colorful than usual–with blooms of pale yellow, lavender, and light green, muted versions of Mardi Gras colors. 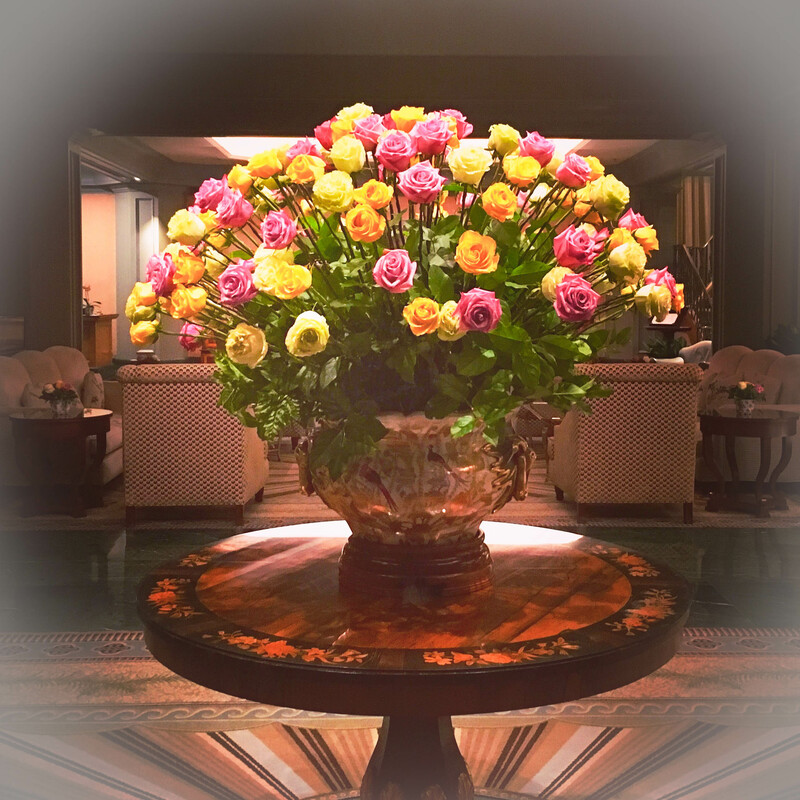 Most of the other fine hotels we visited also had floral displays with Mardi Gras themes, and they were quite well designed, but they were also obvious, with masks and beads and bright colors. They shouted, “It’s Mardi Gras!” while the Windsor Court whispered. Take-away: Honor local traditions, and do so in a way that suits your brand.